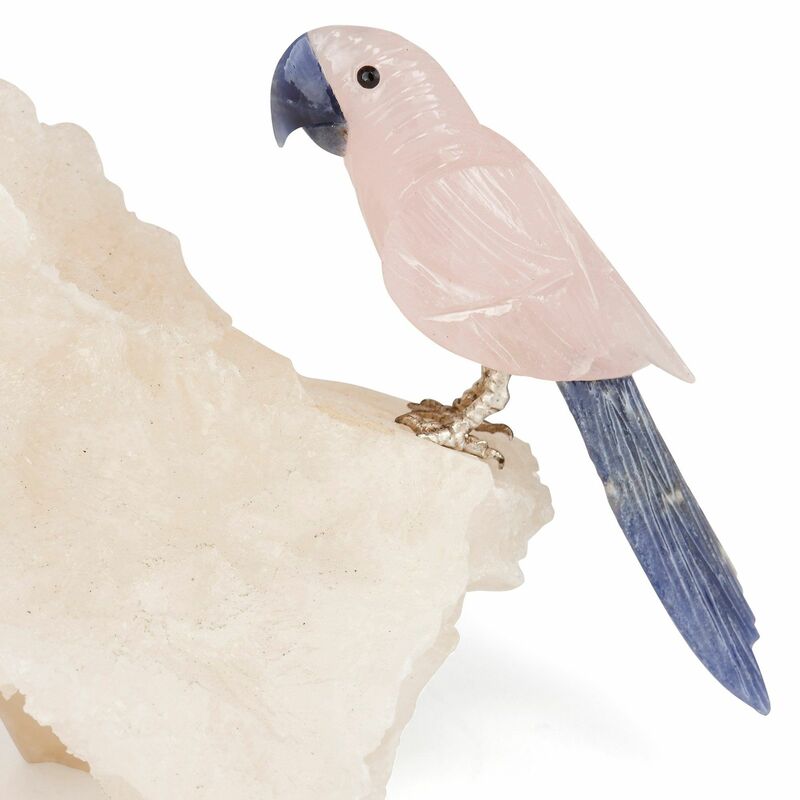 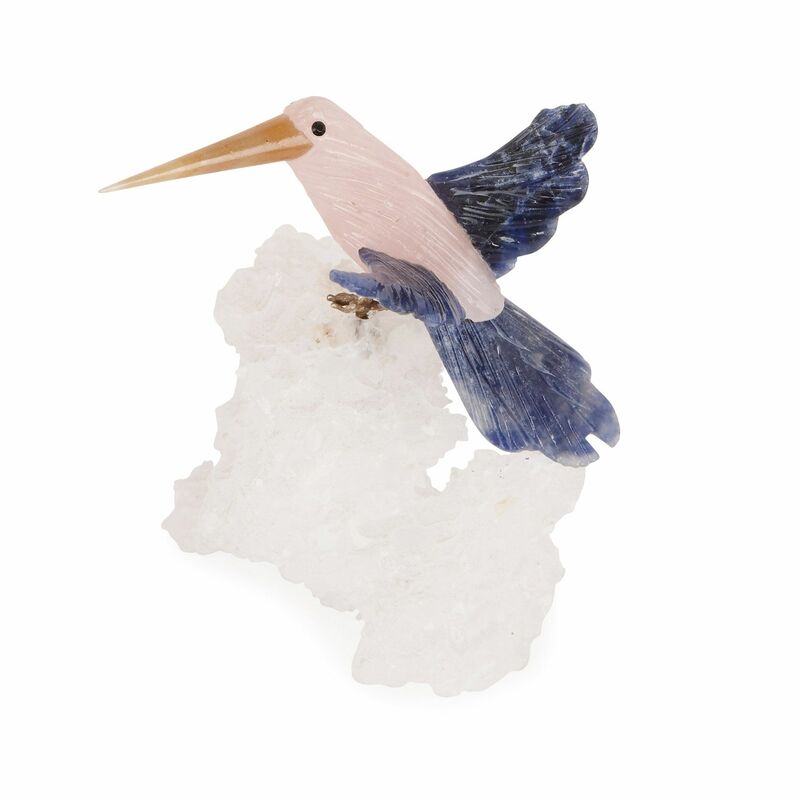 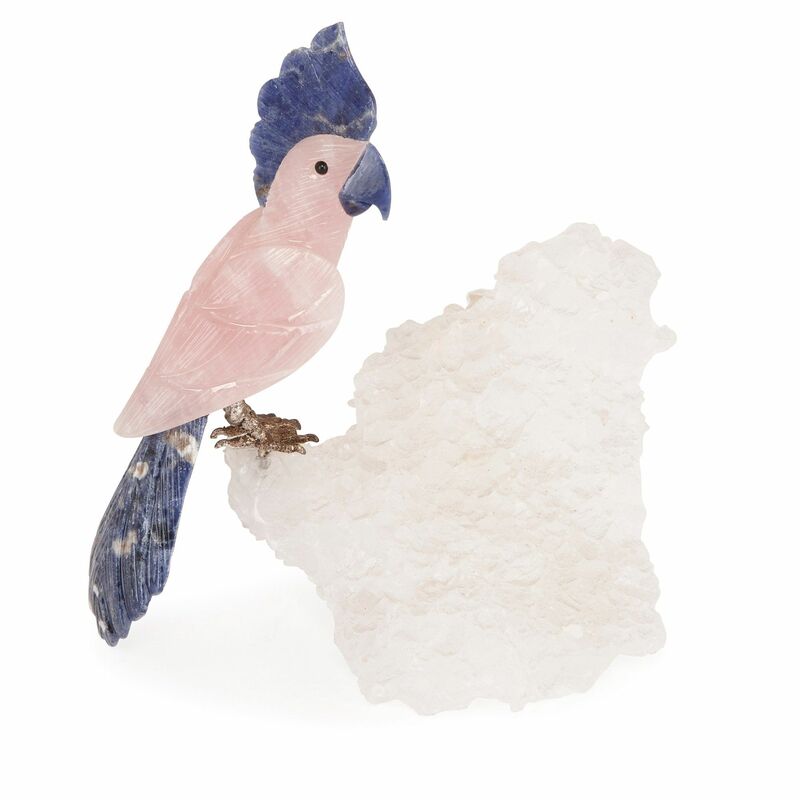 These charming parrot sculptures are finely crafted with a stunning and delicate colour palette, featuring blue sodalite and translucent rose quartz. 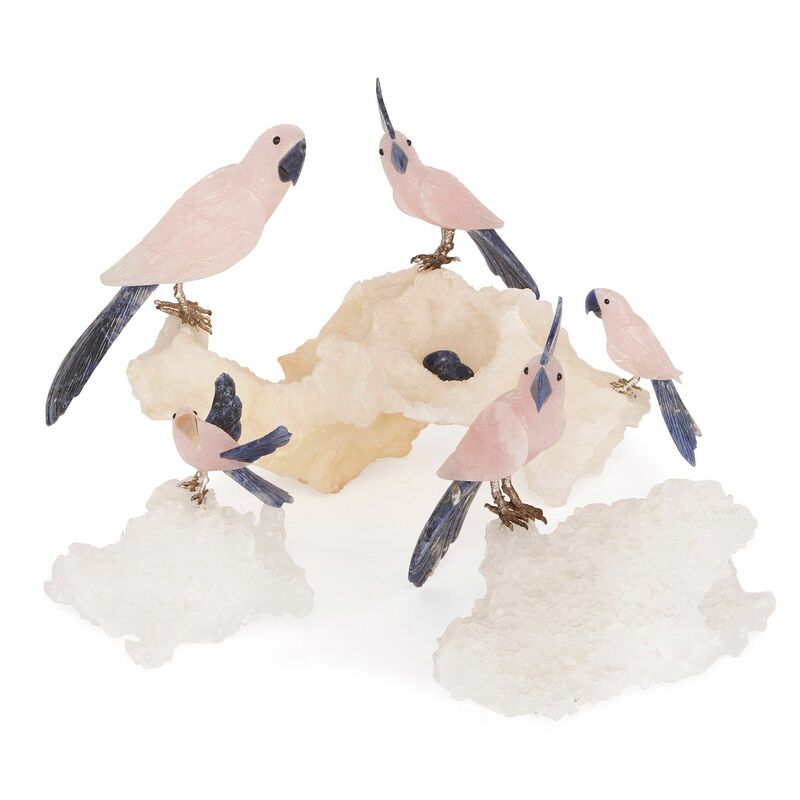 The group of sculptural works are crafted from exquisite natural specimens, and beautifully depict a flock of cockatoos. 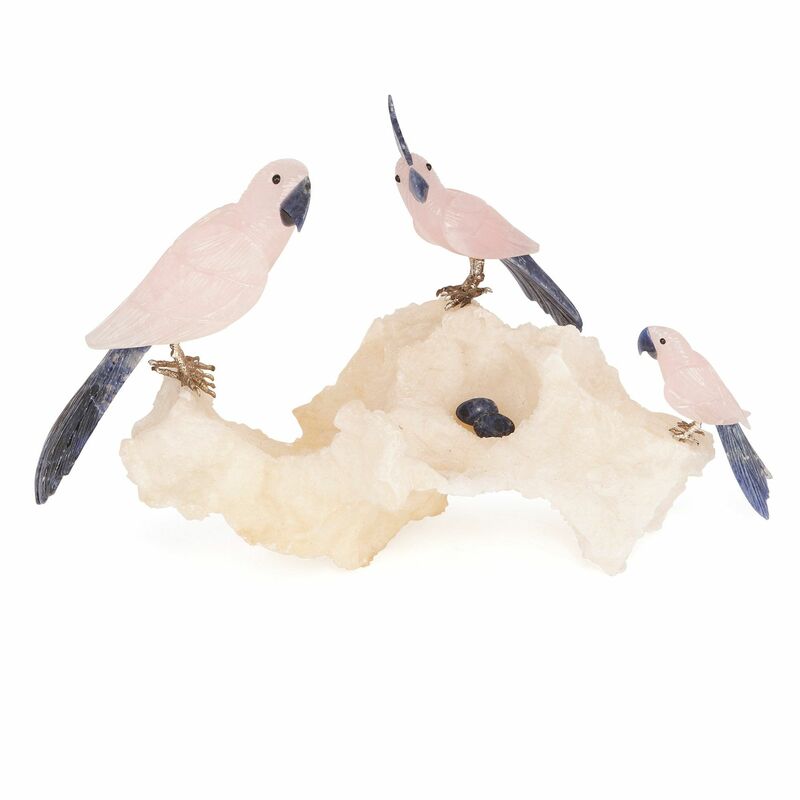 The group comprises three separate sculptures with five cockatoos, naturalistically crafted from delicate rose-quartz. 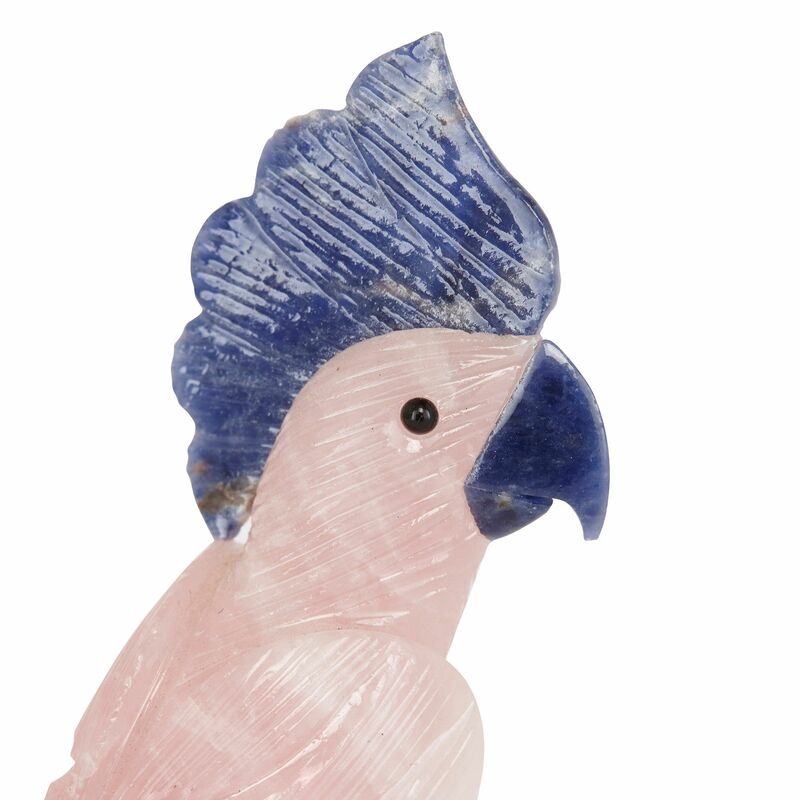 The birds' beaks, head feathers and tails are carved in sodalite, which is a rich, royal blue mineral stone mottled with white, banded patches. The cockatoos all have silver feet, which are remarkably well-textured so as to resemble skin, and are perched onto large, naturalistic polycrystalline calcite specimen bases, which exhibit a striking luminous sheen.